The world’s largest river basin is a living greenhouse to over 10,000 varieties of plants; sanctuary to over 5,000 species of animals and birds; and mother to over 200 tributaries feeding 8 countries of Latin America. The Amazonia is a world of its own with mysteries and beauty unparalleled and undiscovered. Walk beneath the canopy of the towering trees or cruise the black waters of the river and let the strange splendor of this exotic world captivate and charm you. On North Seymour Island, life proliferates everywhere you look. Young and old sea lions waddle along the shore. The frigates display red pouches and mate. Colonies of blue-footed boobies and swallow-tail gulls occupy the land. Most commonly reached via travel from Cusco, Ollantaytambo is an Incan archaeological site in the Sacred Valley of southern Peru. The town dates from the late 15th century and is home to some of the oldest continuously-occupied dwellings in South America. 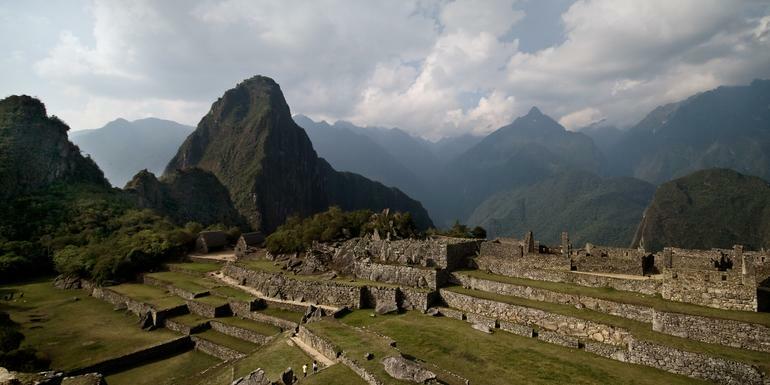 Its primary attraction is the fortress ruins, and it’s also a favorite starting point for the famous Inca Trail, a four-day, three-night hike to Machu Picchu. Geologically, San Cristobal Island is one of the oldest as well as the easternmost island in the Galápagos archipelago. It is home to the only source of fresh water in the islands, a small lake called Laguna El Junco. The lake hosts a large population of birdlife, as does the rest of the island. Other animal inhabitants include sea lions, tortoises, marine iguanas, dolphins, lobsters and more. One of San Cristobal Island’s most popular visitor sites is Cerro Brujo, with its expansive white sand beach and a lagoon that locals used to use as a salt mine but now offers excellent snorkeling opportunities. Another must-see is Kicker Rock, a fascinating rock formation that looks like a boot from one angle, hence the English name, and like a sleeping lion from another (thus its Spanish name, Roca León Dormido). It’s an excellent snorkeling spot as well. Santiago Island, which consists of two overlapping volcanoes, is part of the Galapagos Islands of Ecuador. On the western side of the island in James Bay, a colony of fur seals is at home on the black lava rocks, thanks to the cool Humboldt Current. At Flamingo Lake, you can depend upon seeing a flock of feeding flamingos. Sullivan Bay, on the eastern end, is fascinating for geologists and volcano enthusiasts, offering visitors the opportunity to walk across a relatively recent (1897) lava flow. There are also a couple of beaches known to house nesting sea turtles. The island’s main attraction, though, is Puerto Egas (Port Egas) with its variety of wildlife: Marine iguanas basking in the sun, Sally Lightfoot crabs scuttling through tide pools, brilliant tropical fish, and plenty of fur seals.